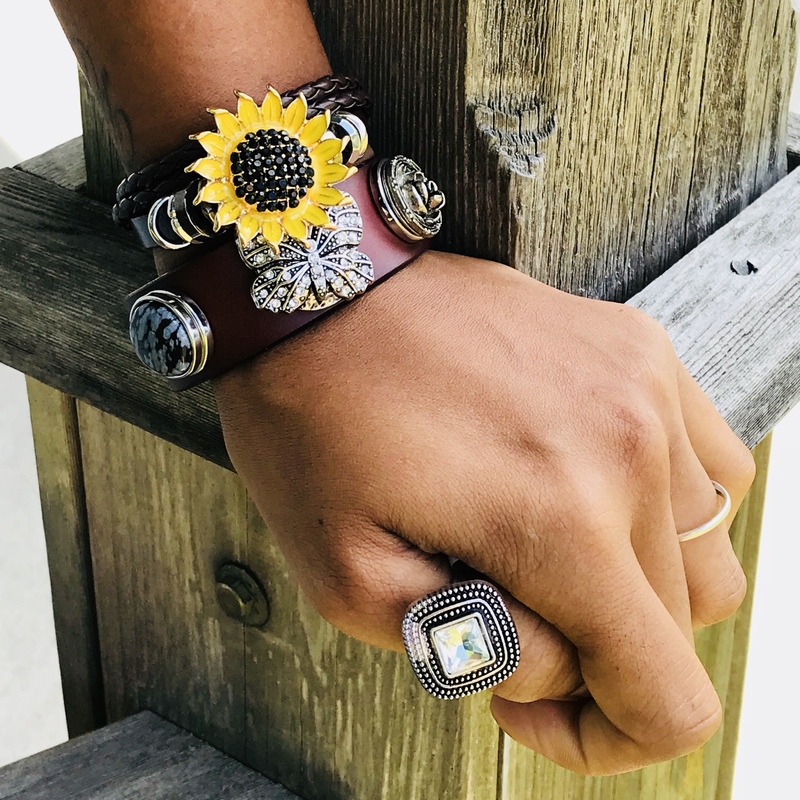 Snap Jewelry is a special type of interchangeable jewelry that uses snaps (or buttons) to change the look of the jewelry piece, whether it's a necklace, bracelet, or ring. The great thing about snaps, is that you can change the snaps and customize your jewelry to make them exactly the way you want. By changing the snap colours and designs you can completely change the appearance of your jewelry! 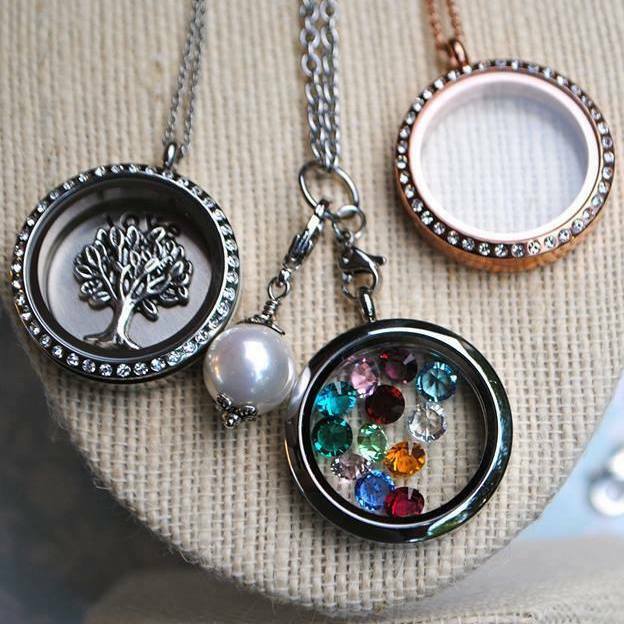 Glass lockets are magnetically-closing lockets made of stainless steel and glass that hold little "floating" charms. The great thing about them, is that you can customize your locket to make it exactly the way you want it. You can have charms that represent your loved ones, such as their birthstones, or create a special family tree locket with stones and tree charms. Other popular charms include ones representing hobbies and interests. The possibilities really are endless. Your locket can be worn with pride - a true keepsake representing you and you can open it and change up your charms as often as you wish. To clean your Stainless Steel & Glass Locket, simply wipe with a clean dry cloth. 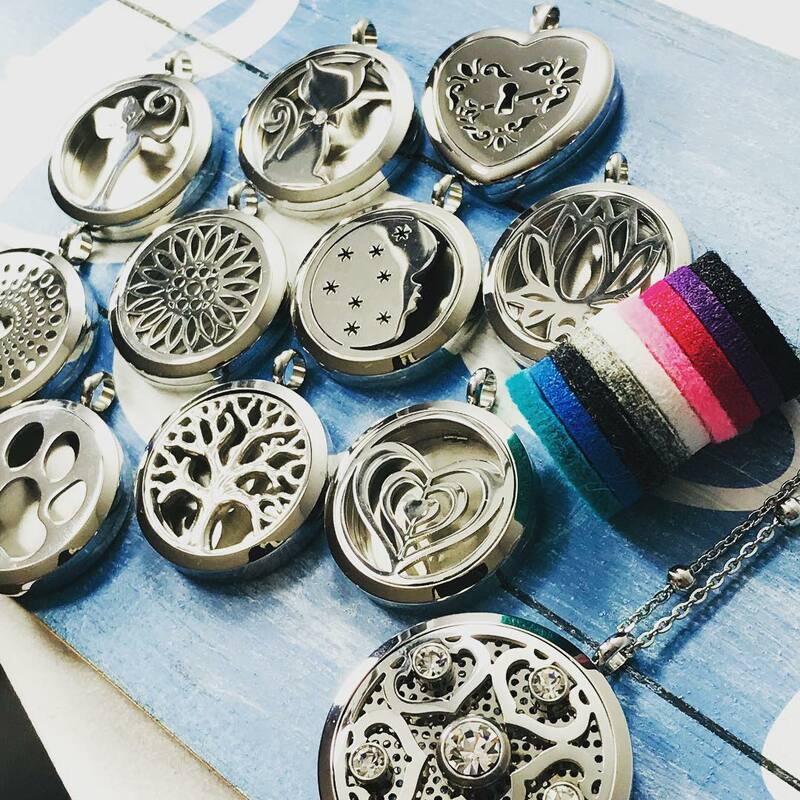 Essential oil diffuser lockets are made from stainless steel. They use a magnetic hinged-closure, and inside you may put any of your favourite essential oils on the pad. As you wear it, your body heat gently warms the oil and diffuses the scent. Oils have been proves effective at treating such ailments as headaches, fatigue, aches and pains, depression and anxiety - the list goes on and on.